How many times do we want to change our lives or venture out in a new job, or a different ministry or service? The resolve to make that kind of change is sometimes difficult, especially when success is uncertain. Joshua had been Moses’ assistant for all those years in the wilderness. Now he would be leader of the people, taking them into a new land. The days ahead were unknown and, no doubt, frightening. 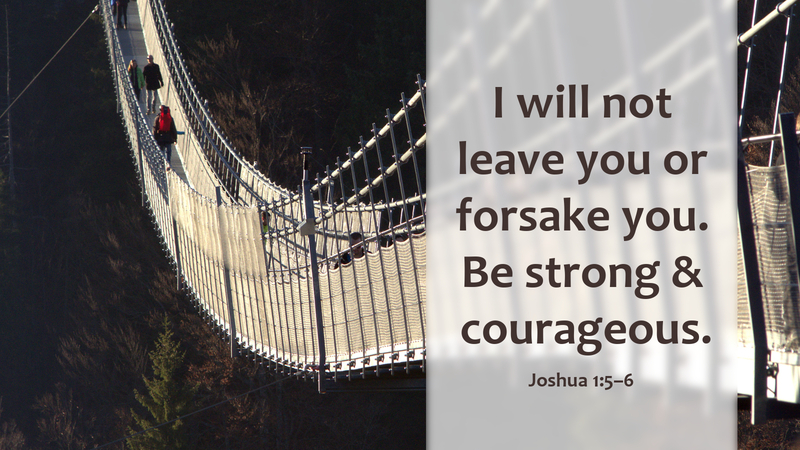 For that reason, the Lord tells Joshua that he will be with him every step of the say, so “be strong and courageous.” Easy to say; harder to do. The Apostle Paul had to be strong and courageous to face his own future. How could he have faced the challenges and even the prophecy of his own death unless he believed that the Lord was with him? The same God who rebuked the unclean spirit and taught with authority, assured Joshua and Paul that he would never leave or forsake them. He has told us the same: “I am with you always” (Matt 28:20). Let us be resolved to believe him, and draw strength and courage from his presence. Prayer: Thank you for being with me today, Lord. Amen.